Sales Improvement – this is written for you if you’re not seeing quarter on quarter, or even week on week improvements in your sales team, your sales results and your sales performance. It covers: sales improvement, training needs analysis, performance management, sales metrics and sales leadership. We see things, not as they are, but as we are. Especially if you’re the business owner and you want to get the highest possible return from the sales team, the sales process and the sales function. Yet instead all you’re getting is the same excuses week after week, month after month. Where do you go with that? Fire the sales function and start again? Listen to the excuses and buy into the promised upswing or the promise to ‘trade through it’ or do you get involved and start asking the harder questions? Either way – it’s a tough position to be in as a business owner or CEO when you’re trying to build a sales engine. To grow your business to match your expectations. Yet your sales results are less than ideal. Is Predictable Sales Improvement Too Much to Ask? Very few things in sales performance and sales improvement are guaranteed to be predictable. All you can hope for is that you spot the sales weaknesses early and do something to over come them. That you leave no stone unturned when it comes to dealing with sales fails, whether that’s with regard to people, process or product. Stop! No you probably don’t want to do that. They are selling the way they are for a reason. Before you commit any money to the one day sheep dip sales training find out why they are selling the way they are. Discover where their sales leads are sticking. What lead sources are converting at what level. Where and how the sales team spend their time. The sales turnover and profits paint part of a picture, but here’s what those sales metrics DON’T tell you. What the sales result variance is across the team in terms of average order value, sales velocity through the sales pipeline, lead conversion by source, lost deals by source/reason, and two handfuls of other mission critical information. The sales metrics, and understanding the conversions at each part of the sales process is critical. I don’t use that word lightly when considering sales improvements. If you understand, track, manage and coach against NEEDLE-SHIFTING sales metrics your chances of getting the sales results you want becomes much, much higher. Improving on those sales results consistently becomes so much easier. How many hours did they spend coaching each sales team member last week? I mean proper side by side sales coaching, reflecting on the call, offering on the job, tailored and specific sales training. When was the last time the sales leadership team went out and won new clients? How are your offering your sales team strategic overview of the marketplace such that they are enriching the collective knowledge bank every day, so they can sell better and close more business, more quickly? This is important, since competitive advantage and differentiation rely on knowledge. You really want your sales team to up their game – look at the sales leadership function and it’s relationship with front line sales people. Typically the source of any game changing knowledge in the first instance is the telescopic view of the sales leadership team, which is them augmented by the feedback by the sales team…it’s a truly symbiotic relationship, but it starts and is led by the sales leadership function. #4. We Need to Change the Sales Bonus Structure. Maybe you do, perhaps you don’t. How much of this is a knee jerk reaction to poor sales performance and an anti sales improvement environment? If a sales person isn’t selling, hasn’t hit sales target in the last 6 months and has no chance of doing any better in the next 6 months…then how does doubling his bonus on all new sales wins make the situation any more likely to change? Mess with the reward and sales bonus structure at your discretion, but it’s often one of the last things to look at. A good sales bonus structure plays to continuous sales improvement only if it’s structured that way. #5. We Need to Hire Better Quality Sales People. What a minefield that is. What do you mean by better quality sales people? More coach-able sales people perhaps? Sales people from the industry who have a live address book? Sales people with better selling habits? This is costly, high risk, and fraught with danger. A bad sales process is better than no sales process. 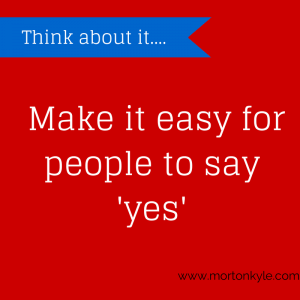 Before you start looking at the staff, look at the sales process. The sales metrics you see, the sales turnover and GP you get are symptoms. If you seriously want to get to a point of continuous and predictable sales improvement then be prepared to really lift the hood and do a deep dive into the whole sales function, typically starting with the sales process. Resist the urge to change anything. Anything at all. Until you have the full picture. Changing anything has consequences you might not immediately see. And when you are in a position to change facets of the function then decide on the metric to manage and monitor to reflect that change so you know super-quick if it’s been a good change or not. When you are able to start changing the way the sales function operates, don’t change too many things at any one time. Sales dips don’t usually happen over night and whilst some can be repaired really quickly, others need time. Take the sales team with you. Put them at the centre of any sales improvement drive, accountability, responsibility and control. Setting Up a Culture of Continuous Sales Improvement. Every business needs to start somewhere! Sales improvement is not difficult. It’s a simple process to set up, it’s pure cause and effect. The problem that most businesses suffer from is that they deal with the effects and not the causes or symptoms. It’s a common failing and often only contributes negatively to an already fragile situation. Whether you’re running a thriving business, busting through sales challenge after sales challenge, or a struggling business who can’t make the numbers work, adopting a framework of continuous sales improvement drives the team focus and business growth in a way that’s got success inbuilt. Continuous sales improvement is a positive sales culture change. And in many ways puts the fun back into building and growing a business. What doesn’t bring value gets ditched. It’s a route to freedom, clarity and focus. Sales improvement is a tangible force for good in any business, but to be really successful it requires you to step outside of the cliched knee jerk responses and really address the core issues that are preventing you getting the sales results you want, need and deserve. 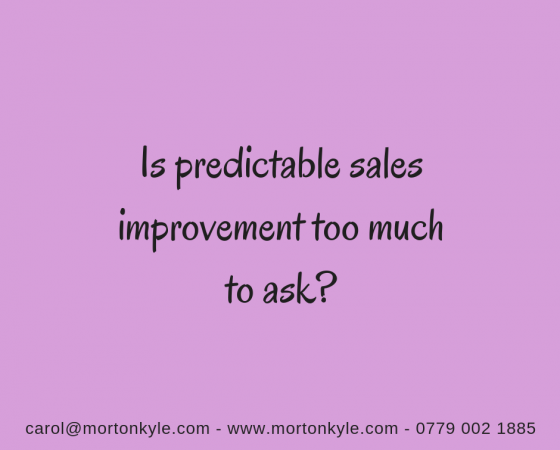 Call 0779 002 1885 or messae now on carol@mortonkyle.com to confidentially discuss your sales improvement agenda. 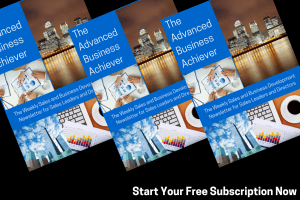 This entry was posted in Blog, Sales Audit, Sales Performance Management and tagged Accelerated Sales Growth, Better Sales Results, Sales Improvement, Sales Performance. Bookmark the permalink.